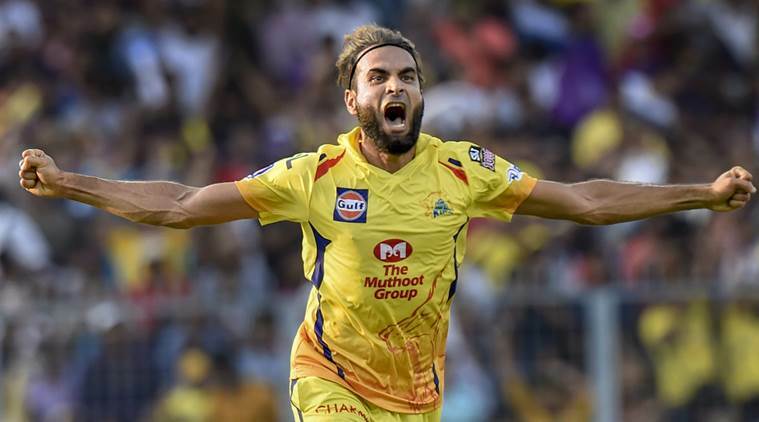 SRH vs CSK Buildup highlights: Previous season’s runners up Sunrisers Hyderabad, who have lost their previous three encounters, will look to return to winning ways when they host Chennai Super Kings at the Rajiv Gandhi International Stadium on Wednesday. The team will once again rely heavily on the opening pair of David Warner and Jonny Bairstow as the other SRH batsmen have flopped miserably in the season so far. The team is currently placed sixth on the points table with three wins and a defeat tonight will put the franchise under tremendous pressure to make it to the PlayOffs. Defending champions Chennai are in supreme form and are just one win away from securing a berth in the Playoffs. The MS Dhoni-led side are currently leading the charts with seven wins in eight matches. The former India skipper has tried various combinations in the season depending on surfaces and more often than not, his teammates have responded pretty well. Sam Billings will be keeping the wickets for CSK. This is the first time since 2010 that Dhoni is not leading CSK and he is out with a back spasm. Yusuf Pathan and Shahbaz Nadeem return for SRH. An unusual decision from Suresh Raina, Kane Williamson says that he would have chosen to bat first too. Dhoni was only playing football on the sidelines while the rest of the team were warming up. This is only the fourth time that CSK will be playing an IPL match without Dhoni. The players are out there, going through their motions. Suresh Raina has the team sheet in his hand, which means MS Dhoni could be sitting out today. These two sides have some of the best death over operators. Usually, SRH might just pip CSK in the bowling department in this area but this is an unusual season for today's home side. Bhuvneshwar Kumar, Rashid Khan and co. have slacked off a bit over the past few matches and they would do well to get their act together when bowling against the likes of MS Dhoni and Kedar Jadhav. Rayudu, depending on how you look at the situation, "won the internet" and "acted like a crybaby" with a post that alluded to the 3D nature of his snub from the World Cup squad. But the BCCI will not take any action on him, admitting that emotions may be running high at this moment and he needed an outlet for his frustration. The basic problem for Sunrisers Hyderabad has been the fragile middle-order. Manish Pandey has scored 54 runs in six matches, Deepak Hooda has scored 47 and Yusuf Pathan has scored 32 in the same number of matches. SRH XI vs DC: David Warner, Jonny Bairstow, Kane Williamson, Ricky Bhui, Vijay Shankar, Deepak Hooda, Abhishek Sharma, Rashid Khan, Bhuvneshwar Kumar, Sandeep Sharma, Khaleel Ahmed. 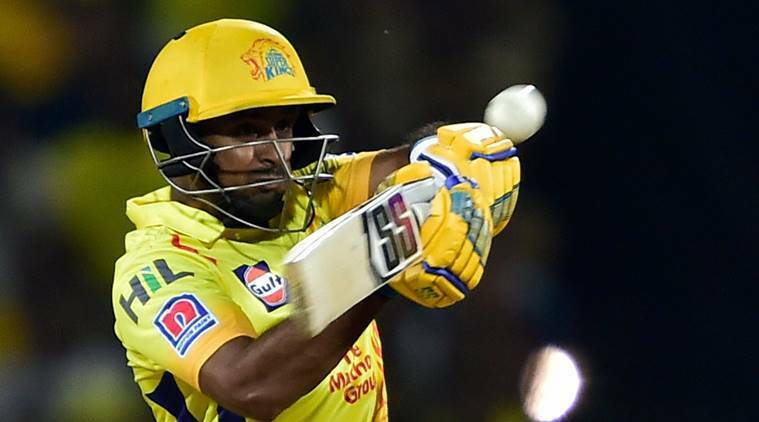 CSK XI vs KKR: Shane Watson, Faf du Plessis, Suresh Raina, Ambati Rayudu, Kedar Jadhav, MS Dhoni, Ravindra Jadeja, Mitchell Santner, Imran Tahir, Deepak Chahar, Shardul Thakur. Afghan cricketer Rashid Khan and allrounder Vijay Shankar travel through the streets of Hyderabad. Hello and welcome to the LIVE COVERAGE of the Indian Premier League match between Sunrisers Hyderabad and Chennai Super Kings at the Rajiv Gandhi International Stadium. While defending champions CSK are one victory away from securing a play-offs berth, a struggling SRH side are desperately seeking for a win in order to keep their hopes alive to finish at the top four. Stay tuned for updates related to IPL.